List of Thailand based yoga teachers and instructors (RYT 200, RYT 500) registered with Yoga Alliance offering yoga teacher training courses and retreats in Bangkok, Surat Thani, Phuket, Haad Salad, Pathum Thani, Chonburi, Ubon Ratchathani,Krabi, Koh Phangan, Chiang Mai, Pathumwan. I am an experienced practitioner and teacher; in the past 15 years, I taught over 12,500 hours of yoga classes, retreats, teacher training, and workshops. I’m registered at the advanced level with the Yoga Alliance (ERYT-200) and as a Continued Education Provider (YACEP). Anna, international yoga teacher and teacher trainer, sparkled in Los Angeles as a designer, entrepreneur and yogi, but her heart desired adventure and knowledge. Anna obtained her 500 hour certification in the Himalayas, from a duo of gurus. Passion led her to a lifelong study of many healing modalities, including homeopathy, psychology, diving medicine, emergency response, reflexology, shamanism and Reiki. Marina is a Reiki Grand Master and has been practicing and teaching this Japanese technique for over 30 years. Kosta has undergone extensive training and was certified with five different schools: Yoga 23, Sivananda Yoga, Mysore Ashtanga Vinyasa Yoga, Andiappan Yoga and Universal Yoga, and maintains close ties to many other yoga schools around the world. Now Kosta teaches yoga in Thailand as the founder of Vikasa Yoga in Thailand. 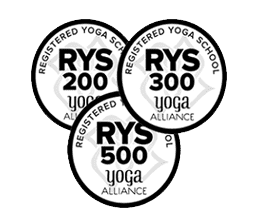 200-hour & 300-hour Yoga Alliance Registered School (RYS 200, RYS 300 & E-RYT 500), was introduced to yoga and meditation in 1981 and have explored a variety of approaches ever since. The ongoing exploration of yoga and bodywork enable me to continue with a therapeutic approach by means of yoga and bodywork, informed by physiotherapy. Registered yoga teacher with Yoga Alliance (E-RYT), E-RYT 500, YACEP, IRYT 500, international registered yoga teacher with International Yoga Federation (IRYT). Currently Jimmy is a secretary of International Yoga Federation for Thailand. Jimmy works as Yoga course director and Yoga course director at Hatha Vinyasa Yoga Teacher Training Course by Jimmy Yoga.